My Holy land visit permitted me to walk with the footsteps of Jesus and it was the best pilgrimage I have ever been on. This was a Spirit filled experience and I would say these days were some of the greatest days to my life. It would be next to impossible for me to put into words what I got out of the pilgrimage and it gave me great strength of faith. To actually walk in the footsteps of our Lord Jesus and experience the land where He lived and had His being, His ministry, His agony, death and resurrection, is beyond what I ever dreamed I could experience. It has enriched and blessed my life and continues to do so daily. Every day I spent there was better than the day before as I traveled this spiritual journey. "The first and greatest message from this empty Sepulcher is that death, “this last enemy” of ours, the source of all fears and passions, has been conquered. It no longer holds the final word in our life. Nonetheless, there is another message that emanates from this venerable Tomb, the Sepulcher. This is the message that history cannot be programmed, that the ultimate word in history does not belong to man, but to God. In vain did the guards of secular power watch over this Tomb. In vain did they place a very large stone against the door of the Tomb, so that no one could roll it away. Every effort of contemporary humanity to shape its future alone and without God constitutes vain conceit. 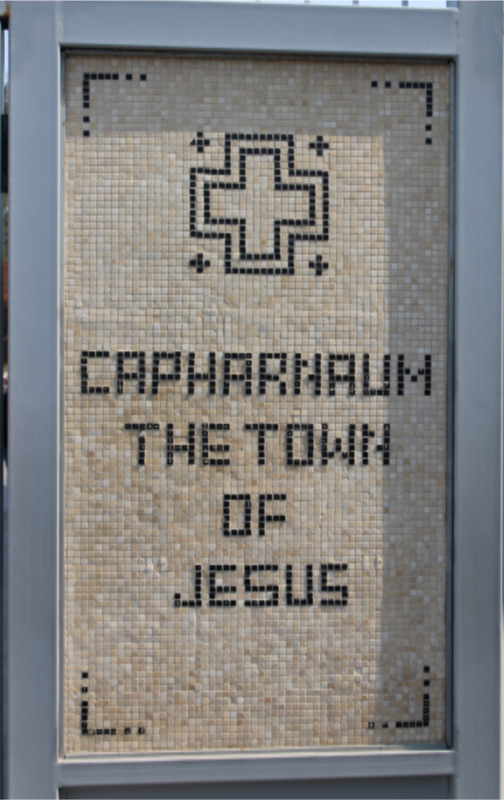 We walked up the steps to Caiaphas’s house, the actual stones on which the feet of Jesus trod the night he was arrested. We walked through the Garden of Gethsemane and touched olive trees that Jesus most likely touched as he prayed there. We walked through the upper room of the Last Supper, and then we stood in the field at Bethlehem where the shepherds watched their flocks at night and sang Christmas carols. We stopped to read scripture and talk about what Jesus would have been doing at every single site and then considered where he was going. For three days I was able to do way of the Cross through the Via Dolorosa, the place where Jesus was scourged and carried the cross. The thought that my sin is the cause of His suffering and pain is heartbreaking. Celebrating Mass at the transfiguration church was so emotional for me. I asked God for the grace to experience the past and the future just as when the apostles suddenly saw Moses and Elijah appear and talk with Jesus. What an amazing experience I had and one that I will never ever forget. I am so privileged to be there in Holy Land to celebrate Holy Mass and to pray. I am thanking God and you for your prayerful support. I hope and pray that I can live up to the experience I had during this pilgrimage. Finally, I ate fish like Peter caught from the Sea of Galilee. I was wondering which fish is better, MQH fish-fry or Peter’s fish? I will have a visual presentation during Mass on Wednesday, April 5th at 7 pm.